Whenever we make a new SLOBOT here at the factory, we always try and take great robot photos of them for our files, but also to share with others. Since most SLOBOTs are unique, this gives others the opportunity to enjoy the work. This is a photo print of SlomunnyV3, from the third generation of SloMunnys. He possesses incredible strength and the ability to crush cars and trucks with his iron grip, but this gentle little robot would rather spend his days quietly walking through a local forest with his trusty pet dog beside him. This is a great picture to place on a nursery room wall or in the office space of your favorite Science Fiction fan. You can see more pictures of SloMunny v3 on his product page or even commission something similar. Robot art photo prints are made to order and are professionally printed for long life. Prints ship unframed. Available in 2 sizes – 5×7 and 8×10 and are ready to be framed in standard size picture frames. Print will be signed and dated by Mike Slobot on the reverse side. Please note: colors may appear differently on different monitors, though we do our best to be as accurate in the colors as possible. All artwork by slobot, mike slobot, and mheisler is copyright protected, may not be reproduced or reprinted without written permission. Purchase of work does not transfer copyright. Artist retains all rights. 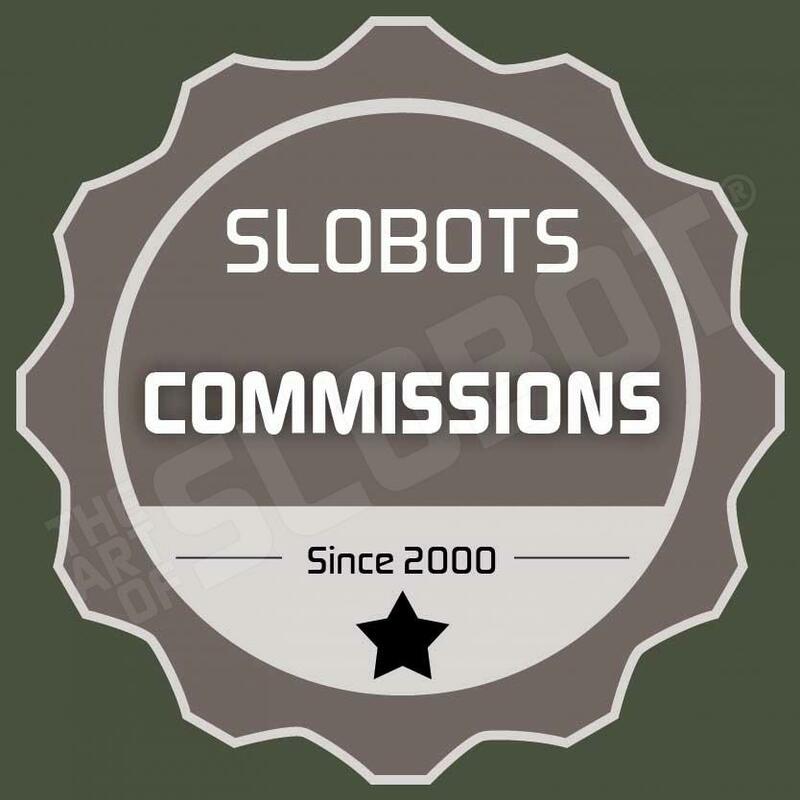 The Art of Slobot is a registered trademark of 3 Group LLC.